We are located in Hocking Hills, Ohio. Just 10-20 minutes from the caves of Hocking Hills and 3 miles from area attractions. Our Cabins and Lodge offer a secluded outdoor experience along with wood burning fireplaces, hot tubs, rustic beds, and outdoor fire pits. The views from the Black Bear Getaway cabin are spectacular. 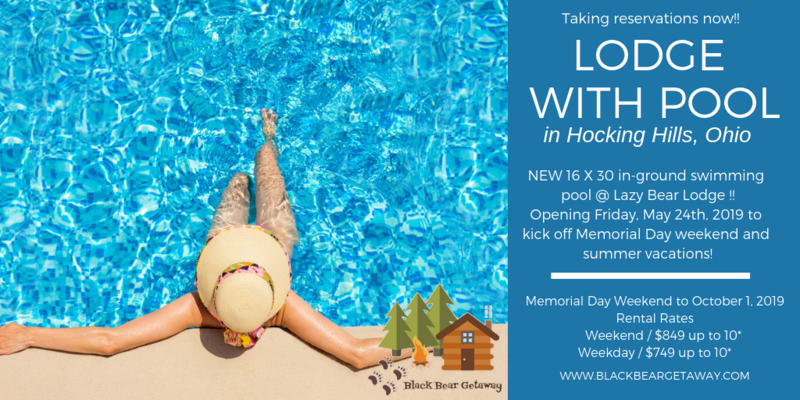 Our Lazy Bear Lodge also offers a large jacuzzi tub with wooded forest view and now offering city water at both locations. Cranes' Place is also located only about 20 minutes away from Hocking Hills State Park. A private, 10 acre lake can be viewed from the deck on the back of the house and offers a small swimming area and plenty of docks for fishing! Cranes' Place hosts an awesome hot tub and an outdoor fire ring in a very secluded, wooded setting. Need additional space? 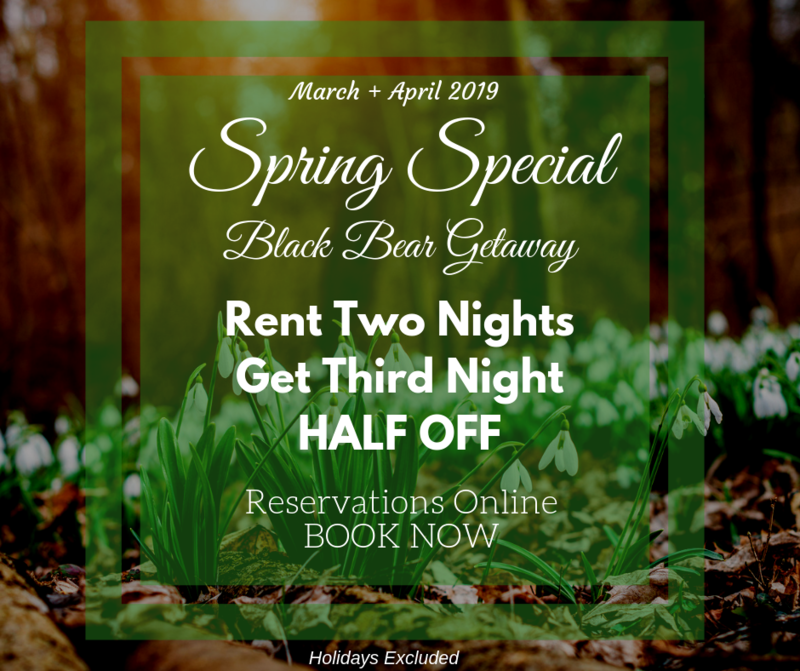 Secluded yet close by, the Black Bear Getaway Cabin and Lazy Bear Lodge are located near by for family rentals.